Gravel on the driveway — and a long black car delivers a first look at The Terrible Grandmother. A boy stays out all night, shivering on the streets, too afraid to ring the doorbell. A hair-do that opens a child up to love. A girl plays innocently as her family waits for the train to leave their Nazi-occupied city. A mother and daughter try to make sense of an addiction. Trapped in a windowless building, a schoolgirl is lured by flowers blooming near the roof outside. 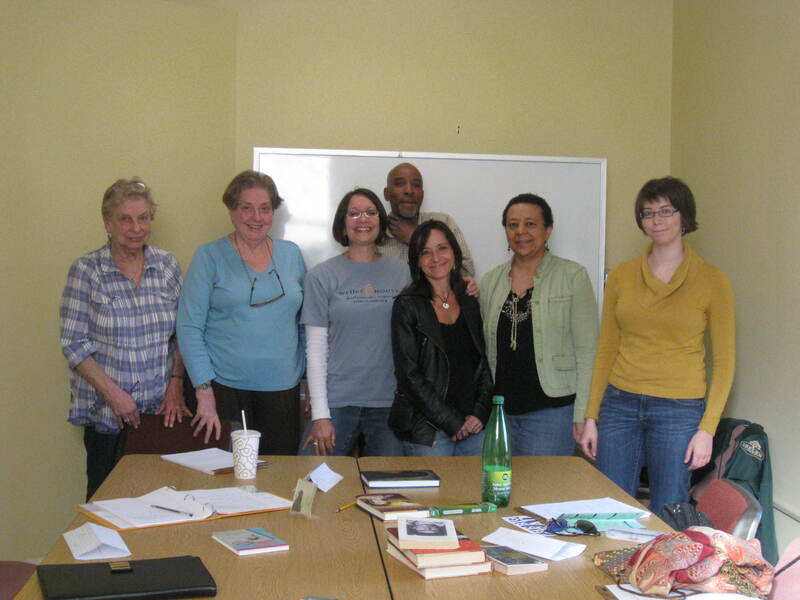 Poets, journalists, children’s book writers, aspiring authors. Thank you Bea,Sandy, Warrick, Bev, Doreen, and Connie. Truly a wonderful day. Be fearless and let me know how your projects keep evolving. P.S. Shout out to James Madison Regional Library — this means you, David Plunkett — for inviting me. Goodness- wish I were closer!! Thanks, Meg! I had a great time and learned a lot yesterday. It was terrific to meet you! May you always go chasing wild flowers!